LIK announces ‘Carnage Manifesto Tour 2018′ with DEMONICAL and OF FIRE! 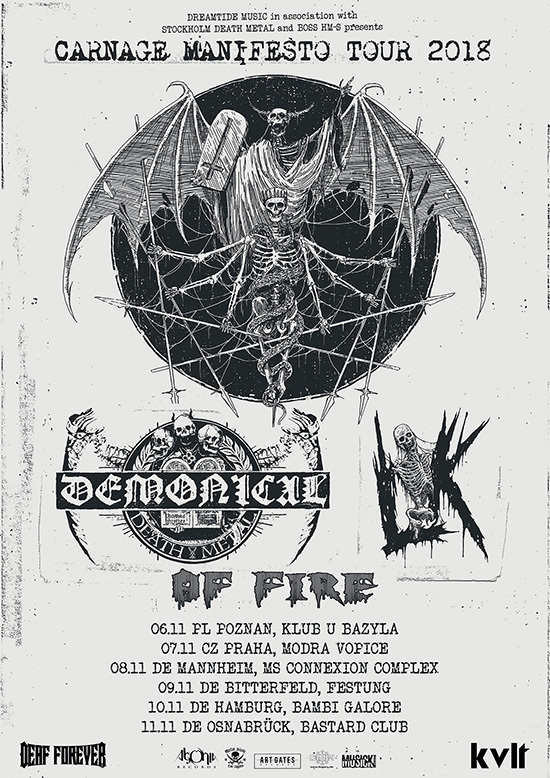 Stockholm Death Metallers LIK will be coming to central Europe for a mini-tour with fellow compatriots DEMONICAL. Support comes from OF FIRE. LIK will present their new album ‘Carnage‘ to the masses, the album that entered the official German album charts on position 78! Surf over to metalblade.com/lik to check out the videos for the two singles ‘Dr Duschanka’ and ‘Celebration Of The Twisted’. At the same location you can order the album on vinyl as well as on Digi-CD.